This is the perfect place for players asking where to play online slots. The Secret of the Stones is druid adventure into a talismanic 5 reel that’s filled with mythical masonry deep in the forests of middle England. 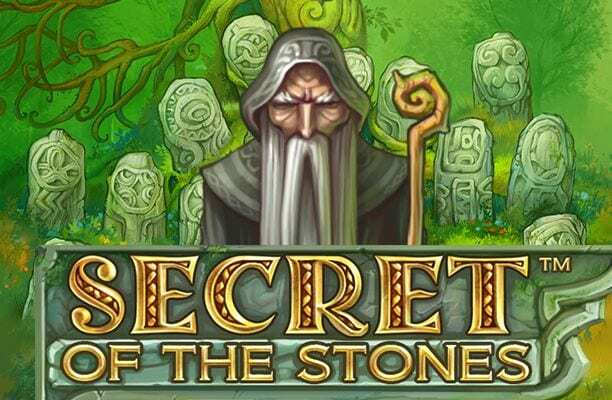 The game is developed by NetEnt has harnessed the perfect opportunity to win some amazing cash prizes and free spins while gaining the wisdom of the ominous wizard druid that lives among the gameboard. Here at Wizard Slots NetEnt are one of our favourite providers currently operating in the industry. Their game Guns n Roses is also one of our favourites because of its high octane reels and an amazing soundtrack. 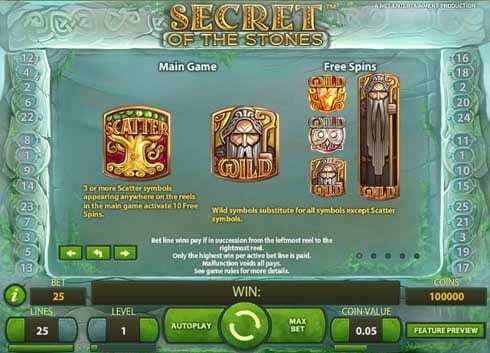 Secret of the Stones certainly looks like a NetEnt game, the standardised 5 reel, 25 payline set-up fits the bill and is something that NetEnt always do very well. Simplistic gameplay with a great theme. 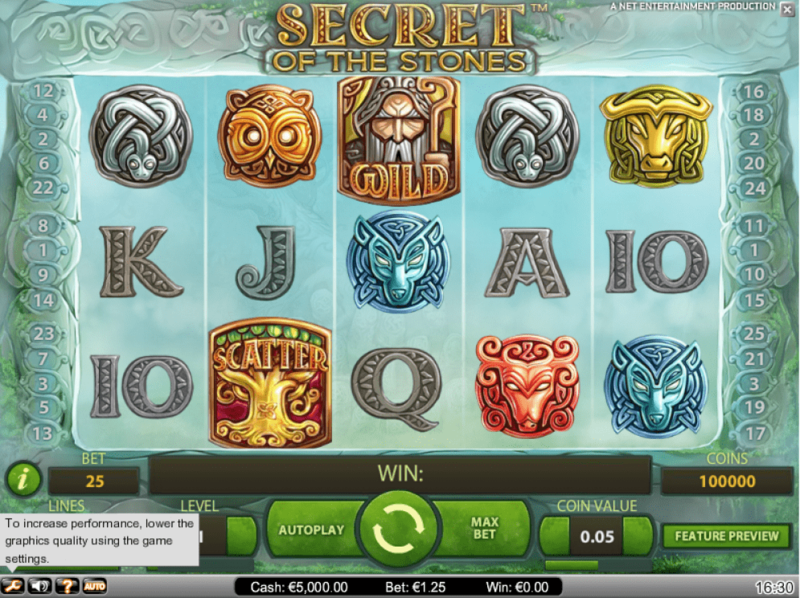 Learn more online slot games to play from the developer here on Wizard Slots. 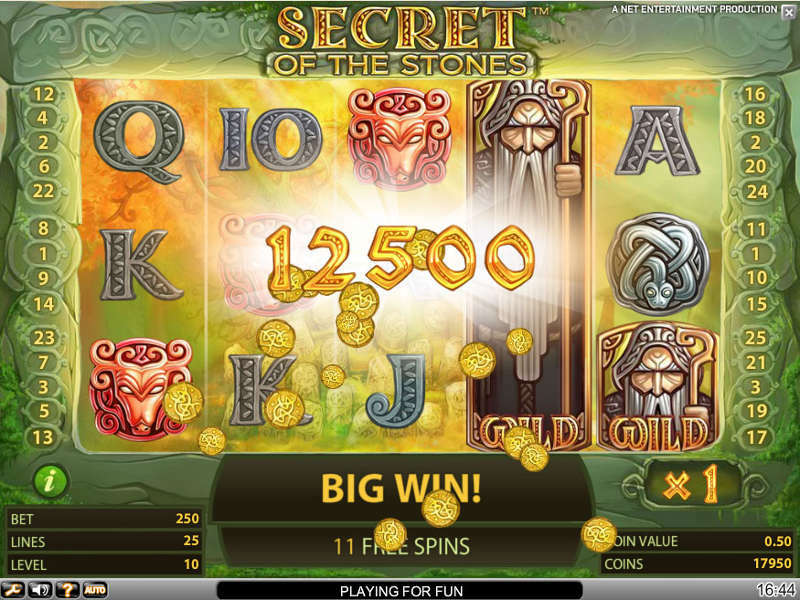 Secret of the Stones is a 25 payline, 5 reel extravaganza that simply doesn’t relent. Meeting the standard NetEnt layout this game will take you on an adventure deep into druid landscapes where the only escape is the trance that ensues as you hear the sounds of the stones clinking into place. Get more information on top-notch slots games you can play when you click here. In a game that’s steeped in Celtic history, you are able to change betting lines and coin values to match your preferred spinning style. The Celtic atmosphere that inhabits the reels is an ominous overtone and is made up of druid symbols, stones, and lower valued letters. The soundtrack is obviously mystical and creates just the right amount of tension and enjoyment for this 5 reel. Explore the intense range of WILDS and SCATTERS that are visible across the reels, you will know which ones which as their names are outlined. Find 3 SCATTER symbols anywhere on the reels and you will immediately activate the FREE SPINS mode that gives you 10 free spins. These free spins will increase for every scatters you locate up to 5 scatters. At this point, the BONUS COLLECTOR will appear and you will be greeted by a sinister druid who guards 20 tiled stones. Choose up to 5 stones to reveal an amazingly nifty free spin bonus. The WILDS on this game can be swapped for any symbols on the gameboard except the bonuses are scatters. It’s the usual run of the mill 5 reel.